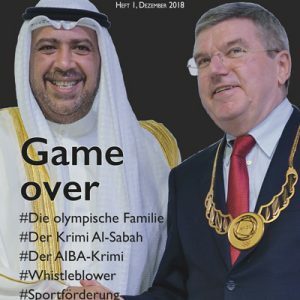 Last weekend the German magazine ‚Der Spiegel‘ has revealed that Hassan Moustafa, president of the International Handball federation (IHF) had been under a personal contract with the Sportfive marketing agency, with a remuneration of 602,000 Euro, during a period for which Sportfive had won a contract with the IHF for the TV rights to all IHF events. ‚Der Spiegel‘ had obtained a copy of the contract between Moustafa and Sportfive, and also a confirmation directly from Moustafa. Clearly, for Mr. Moustafa to obtain a very vague, but lucrative personal contract from Sportfive while at the same time the IHF is selling its valuable TV rights to the very same company, in a competitive bid situation, smacks of conflict of interest, to put it mildly. That some observers will take it a step further and start talking about kick-backs is rather understandable, especially as they feel that Moustafa has shown over the years that he has no understanding of, or regard for, the concept of ‚conflict of interest‘. This remarkable state of affairs was picked up by handball media around the world, for instance in the major handball web site ‚Handball-World‘. 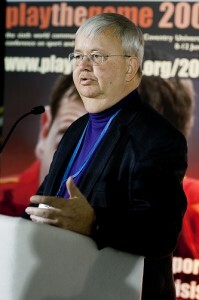 Not surprisingly, the IHF president found it necessary to try to counter these damning reports. On January 26, the IHF issued a press bulletin regarding the Spiegel report to back up statements the president had made. This press bulletin, however, was only provided to German news outlets, and has not been posted on the IHF website. The impression is that the IHF avoids giving its own press bulletin too much publicity, in an attempt to keep the exposure of the whole matter as limited as possible. This does not tend to be the methods of someone who has nothing to hide. But the key points of the press bulletin are worth noting: in the face of the existing evidence, the president does not attempt to deny the existence of the lucrative contract. Instead, he tries to downplay the issue with rather hilarious arguments. 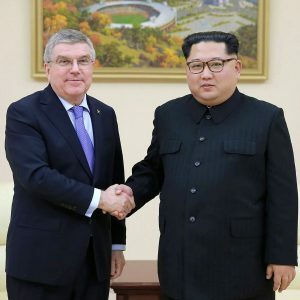 Well, while the president may feel that this attempt to portray his relative priorities may provide some kind of excuse, it all too well reflects precisely what his critics have said about the priority he has given to personal enrichment, in contrast to his treating the development of world handball as a small matter on the side. It is also somewhat amusing that the press bulletin closes with the comment that „the IHF has come to the conclusion that Moustafa in all respects has acted correctly“. I think it is universally understood that an IHF Media Officer will describe an ‚IHF conclusion‘ in the way that the autocratic president orders it to be described… The typical reactions of knowledgeable people to both the initial revelations and the attempt at a rebuttal are well captured in the web site of the well-known German investigating journalist Jens Weinreich, who also criticizes sports media in handball-crazy Germany for not giving the matter quicker and more prominent coverage. 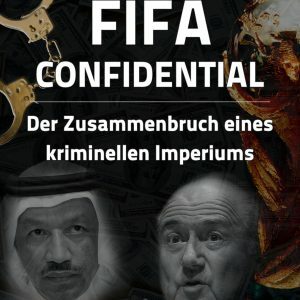 An interesting twist to the whole story is that the Director of Sportfive during the period through 2009, when Sportfive had both the IHF TV rights and the personal services contract with Moustafa, was a Robert Mueller von Vultejus, who has since abandoned Sportfive in favor of a rival entity, UFA Sports, a subsidiary of the important German media group RTL. UFA Sports, which was established as recently as in 2008, was in early 2009 ready to jump into the competition for the IHF TV rights for the new quadrennial 2010-13. Somewhat to the surprise of the sports media world, UFA managed to beat out Sportfive and other competitors and gained the rights for 2010-13. These results were announced in connection with the IHF Congress in June 2009. 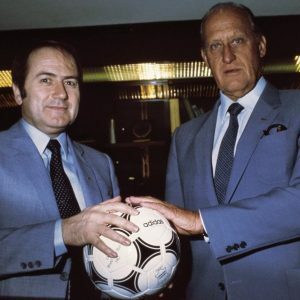 At the time, it may simply have seemed that this ‚coup‘ could be ascribed to the experience acquired by Mueller von Vultejus when dealing with the IHF while at Sportfive. 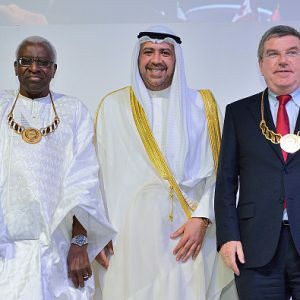 But after the most recent revelations, the new regime at Sportfive is perhaps beginning to wonder if there’s more to the story as they have indicated that they are now examining the events involving Sportfive’s relationship with the IHF and Moustafa. They are bound to be asking if their former Director brought his questionable practices with him to his new company and therefore whether the bidding was really won fairly by UFA, as now is being forcefully claimed by Mueller von Vultejus. 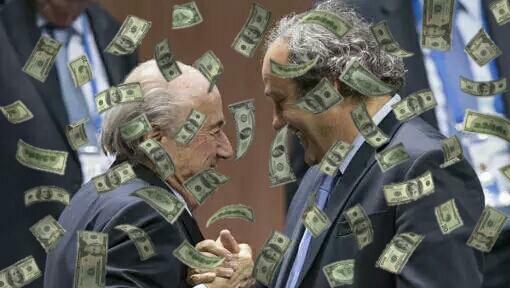 Perhaps the bidding was not as ’sealed‘ and confidential as it should have been!? Finally, on a personal note, I would like to say that it is painful to have reasons to keep writing negative things about the IHF. 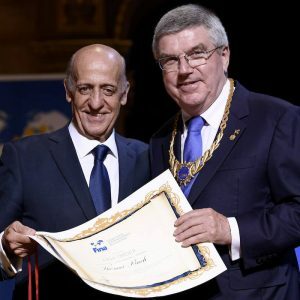 But my loyalty is to handball, its image and success, and to the people who work in an honest and selfless way for handball, not to the IHF and its current regime. So ist doch wieder schöner. was genau war eigentlich los? 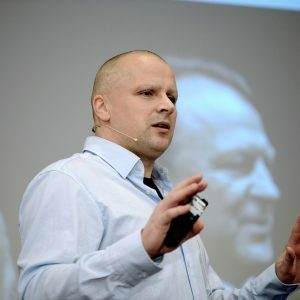 Christer Ahl für teamhandballnews.com: President Moustafa’s proposals for new IHF Statutes would legitimize his dictatorship and despotism — who will stop this madness?? Yes, this is long, but it is so important that you do need to read it! In Medellín als geordnet von der Liga Antioqueña de Balonmano, haben die Kinder bis 14 Jahre Mann zu Mann deckung im Spiel zu machen. Die Schiedsrichter sehen das als normales Spiel und die ganze Zeit fassen dich an, greifen dich und du kannst nichts tun. Ist es korrect so mitzuspielen? Sollen die Schiedsrichter Progressives Faul zu pfeifen? Danke vielmals für eure Hilfe. Ich bin ein alter Trainer doch immer mit Handball-blut in meinen Herzen. ottoseibert@hotmail.com ist mein e-mail. 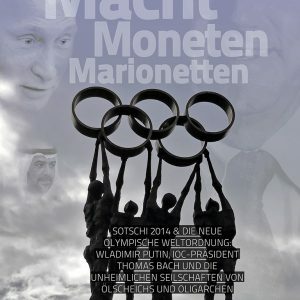 Der Herr hat vor drei Jahren ein Handball Olympia-Qualifikationsspiel manipuliert. Jetzt wurde ihm die Annahme von Schmiergeld nachgewiesen. Offenbar dürfen sie sich alles erlauben, ohne Konsequenzen fürchten zu müssen. Blatters, Diacks etc. werden so weitermachen. tja, so läuft das im (organisierten) sport — die aufrechten werden platt gemacht, die ganoven werden hofiert. Sola ist auch Schatzmeister der internationalen Handball-Föderation IHF.